• Održan 1. Schnee off road kup 2009. • Sve spremno za 1. "Schnee off road" kup 2009. • 1. utrka ORK Schnee 2009. • ODRŽAN 1. SCHNEE OFF ROAD - KUP 2009. • TJEDAN DANA DO PRVE UTRKE 2009. 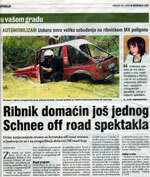 MX MOTO KLUB "MX RIBNIK" - 1. 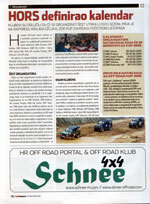 Schnee off road - Kup 2009. 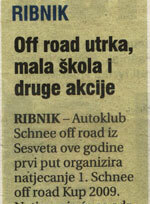 Off road Ribnik 2009 - 28.03.2009.